So how does the truss rod help combat the stress of steel strings and a not so perfect Mother Nature? The steel rod inserted inside the neck stiffens the neck and helps to keep the neck from bowing forward with relief. Here’s the rub between the two. The non-adjustable rod can only help the neck by stiffing it to a certain point. It is designed to compensate for string tension but since there are so many variables with string gauge alone, it isn’t always successful. It also cannot be tweaked to compensate for less than ideal humidity levels that will affect the neck relief besides the string tension alone…… Early on in guitar building, luthiers devised a clever way of placing a rod at an angle in the neck with a treaded end with a matching nut on the adjustment end and a machined stop on the inaccessible end. If tension was placed on the rod by tightening the nut at the accessible end, the rod would pull the neck away and back to remove the concave relief and straighten the neck. Ok you know how it works but why not use it in all guitar necks? Beats me, that’s a good question. Some manufactures (including Martin) will say it isn’t needed if done properly. Some guitar players swear that the un-adjustable hunk of steel in the neck some how makes their guitar sound better and some players that love vintage guitars say that if the old collectible classics guitars didn’t need adjustable necks then neither do the new models. So…there in lies the controversy, although I think most of the arguments for having a non-adjustable truss rod are rubbish. As a guitar tech, I work on setting up guitars for many different players with different playing techniques. Having the ability to battle the environment and make minute adjustments to neck relief and improve playing action and comfort, well, I guess you know which side of this discussion I’m on. 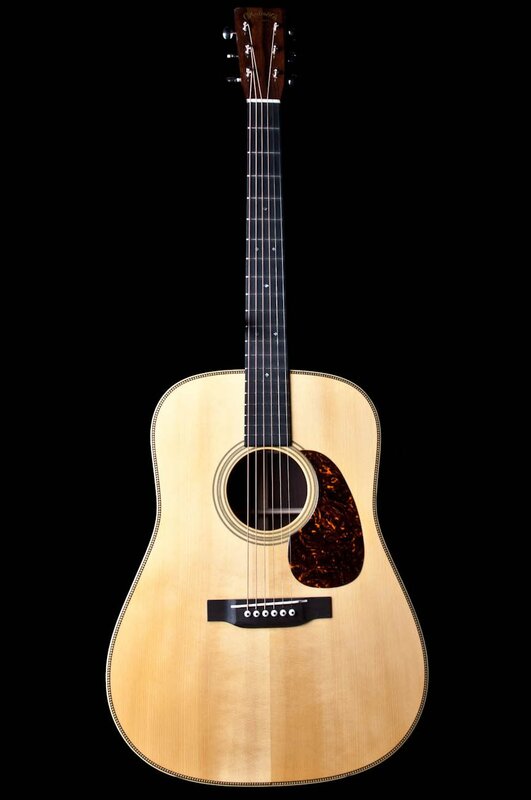 Now……oh yeah, getting back to that old ’78 Martin D28. The neck has too much relief making it difficult to play and will you look at that, it does not have an adjustable truss rod! How do you deal with that? Well, that’s another long story but lets just say that it will take a lot of time, effort and money dealing with bridge and saddle shaving and shaping and the worst case scenario , fret removing and finger board planning. Yippee! !